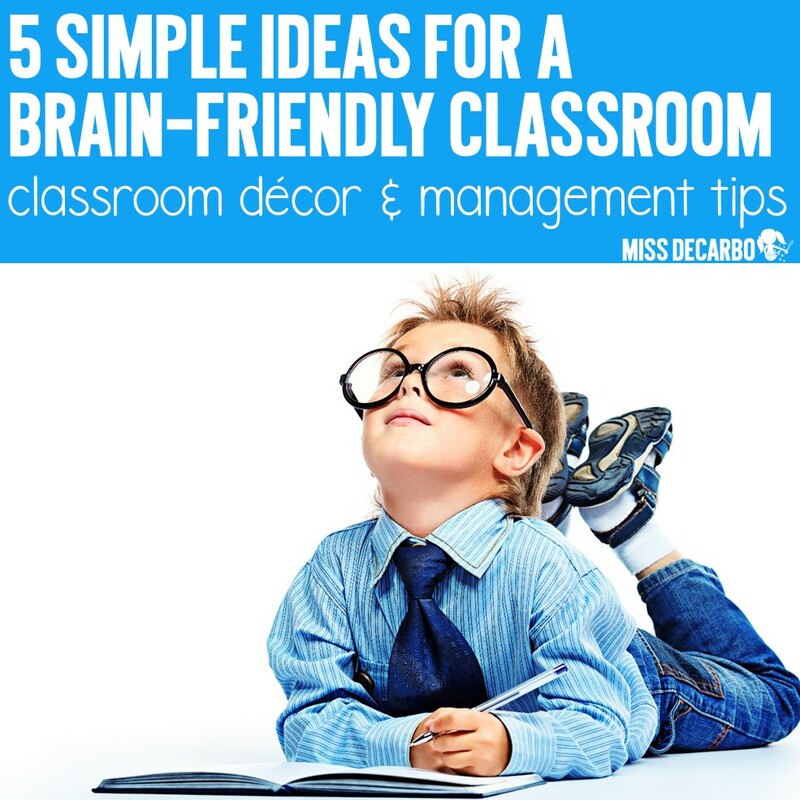 Today I would like to share five simple ideas to make your classroom more brain-friendly! I am a HUGE advocate of educational research. I believe that reading up on the latest research in education is a responsibility that all teachers should make a priority in their career. 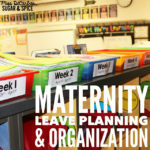 I know, I know – it’s HARD to find time to read research articles and stay on top of the latest findings when our classrooms need organized, our lesson plans need typed, and our families need fed! However, research is constantly changing and new ideas are being discovered that can make BIG positive changes in the lives of our students and our instruction. There is a LOT of research out there about what is best for our kiddos’ brains when it comes to the classroom, instruction, and learning. 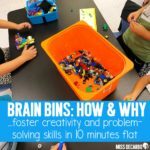 Today, I’m going to share five simple ideas for making the environment of your classroom brain-friendly. These ideas are cheap, easy to implement, and effective. Let’s get started! Did you know that out of all the organs in our body, the brain contains the largest amount of water? This important fact makes it clear that water is important to our students’ growing and busy brains! When students are dehydrated, their concentration decreases and their energy and focus drops. 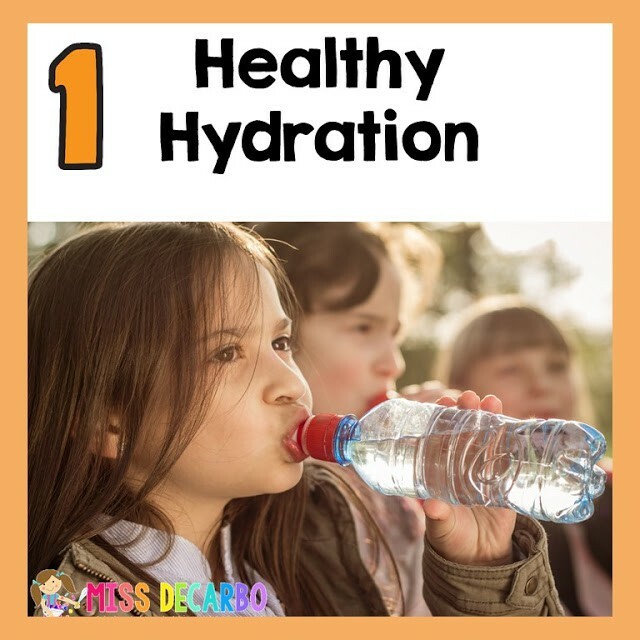 Giving your students easy and frequent access to water throughout the day will keep them hydrated, energized, and ready to learn! I allow my students to bring water bottles to school on a daily basis. I do ask my parents to send reusable water bottles instead of the disposable ones, if possible. My kids keep their water bottles on the corners of their desks. We have very few spills throughout the year, and I find that the majority of my kids are not distracted by their water bottle. They grab a few sips in between activities or transition time. Some people often ask me if this increases our bathroom use. To be honest, it might for a few kids, but because we use the restroom as a whole class a few times a day, I rarely have an issue with increased bathroom trips due to the water bottles. I believe that if I am going to want to drink water all day (which I do), then my children should have the right to drink water throughout the day, as well. The best source of lighting for learning? Soft, natural lighting! Unfortunately, many schools and classrooms are lit with harsh, fluorescent lighting. 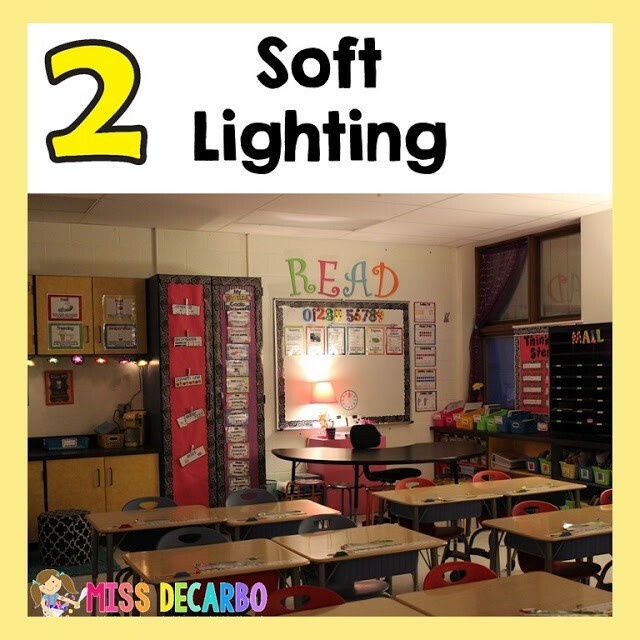 Adding lamps and soft lighting to your room can add a positive impact for learning into your classroom. And, the more windows, the better! Natural sunlight has been shown to affect learners’ moods and energy in a positive way. So, open up those blinds and grab some fun lamps! It goes without saying that air quality is important to our health – brains included! I love to add plants to my classroom. Not only do they add to a “home like” environment for my students, but certain plants can naturally improve the quality of air in your classroom! Air purifying plants can be purchased at home hardware stores such as Home Depot, Lowe’s, and at local nurseries. Some of my favorites are snake plants and spider plants. 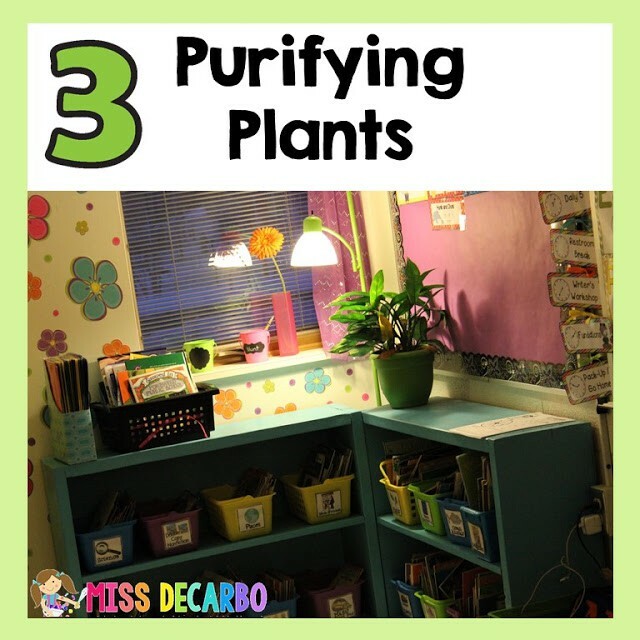 It’s important to note that one air purifying plant will not make a “huge” difference in your classroom, but placing multiple plants around the room can help! I have quite a few plants in my classroom this year, and my kids just love helping me water them every week! Stress can cause impaired learning and thinking in children. Keeping your environment positive and happy will help students learn better due to a relaxed and safe environment. Laughter and having FUN with your students will not only increase their emotional state but it will increase their energy, too! Students who are stressed from their home life will find it difficult to concentrate at school. As a teacher, we can help ensure a happy, safe, and fun learning environment for our students. 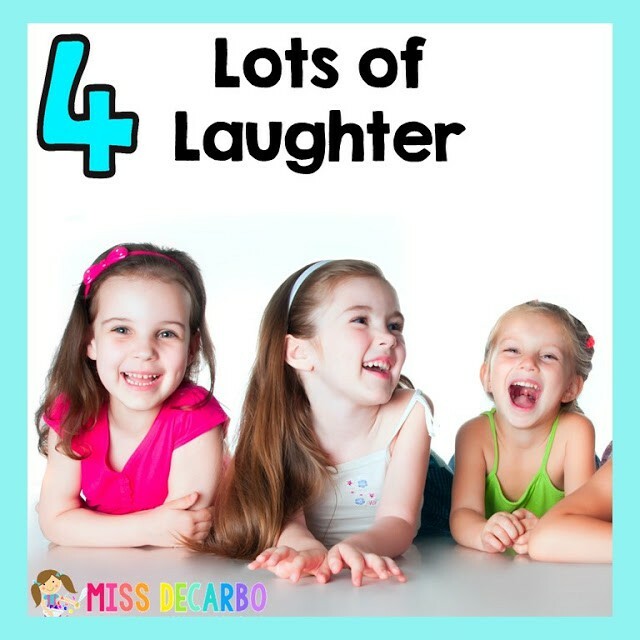 Laughter can reduce anxiety and boost participation and motivation! As teachers, we know that love and support are the most important factors to our classroom environment! Teachers who maintain an emotionally and physically safe learning environment are providing the optimal atmosphere for students to learn. Because negative stress and emotions can affect the brain, a safe and positive learning environment will help students take risks, make mistakes, and ask questions throughout the day. We can provide support for our students’ learning by incorporating their interests and learning styles into our instruction and classroom. These factors all lead to increased academic performance and greater motivation for learning. 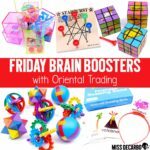 I hope you enjoyed these five simple ways to make your classroom brain-friendly! There are LOTS of other ways you can add brain-based research to your classroom environment. Below are a couple of my favorite professional books on this topic. As always, thanks for stopping by. « Try It Free Tuesday Freebie! I allow water bottles in my class. I bought coasters for the kids to use when they bring a water bottle. When they turn in their homework folders, they grab a coaster for their desk. 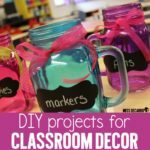 This helps with reminding them to not play with their water bottles and to help with any condensation. Great idea! Suggestions on where to get coasters? I haven't seen any in a long time. Thanks! Great truths here. The only thing I need to add are plants! I have a ton of fake ones to decorate, but some that purify the air would be better.